Really? He extended the Great Depression and threw folk in concentration camps. Was better than Truman though at foreign policy. I'll give folk that. We've already discussed that, and you listed a bunch of ancap/libertarian studies to prove your point. FDR's plan was benefical to the economy at the time; if not for the actual effectiveness of the spending plan, for the consumer/investors confidence rising back to steady levels. yep, and 4 more years of Hoover would totally be better(not), you missed the point yet again, FDR inspired hope into the consumer's, something Hoover failed to do. We would probably would have had a Communist v Fascist war in the US like Spain did without FDR. You would have probably had a lifting of the US out of economic crisis by 1935 without the fascist. What next, supporting Hitler's economic policies (which were awful), Mussolini's economic policies(awful again) or Stalin's economic policies(awful fourth time over)? Hitler's worked at first, to be fair. He made Germany as a whole poorer while destroying businesses. Germany's economy without the war was due to collapse by 1940. The same year Hitler planned to expand German Territory to make it functional. Secondly, people whom oppose welfare are promoting the ridiculous ups and downs of a true capitalist economy, as it is inherently volatile due to a maldistribution of resources. Folk who want something are willing to pay for it and someone who has it will want to sell it to get their money. It's completely voluntary, and not a maldistribution at all. The maldistribution is when governments nationalize industries and have folk wait in lines to get bread , then run out of bread. When millions die from mismanagement of food and farms. 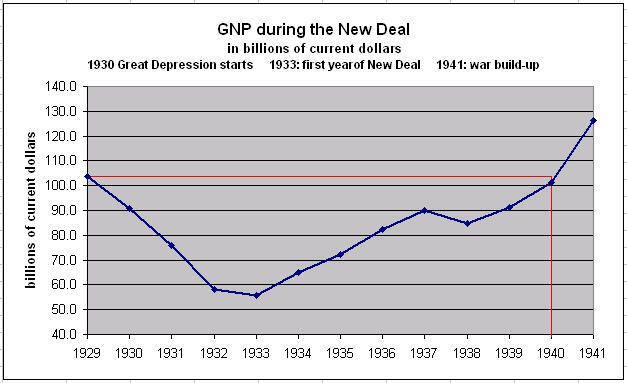 FDR's policies were in direct response to the inflation that finally started a depression. Let's not blame Hoover, either. The poor man just happened to be elected when the markets crashed; there wasn't anything he could do. Another thing about Roosevelt: Concentration camps for innocent folk, how can anyone support this? I'll say that that was a bad call. The most decorated American unit in WWII, the 442nd regiment, was made of Americans of Japanese descent. I think there is way too much cockiness on both sides of economy, here. Anyhow, I don't know much about Roosevelt, but America was bad economically then, in his presidency, and it didn't get better until America chose to make a militareich. Inequality is an inescapable part of human nature. Ever heard of the Iron Law of Wages? Read up on it. People will get enough to get by, if they are employed, because employers don't want them dying en masse. Ups and downs are unfortunate, but, unlike in socialist/communist systems, capitalist economies always go up in the long run. I'll take very rich to kinda poor over reliably poor.